This post is hard to write, and for awhile I struggled over the idea of ever putting this on my blog, because it has nothing to do with home decor or DIY, it is just about me. But maybe it is time I put some more 'me' in my projects, and stop hiding photos of myself because I am not "done up". No matter how much I cover it, it is part of who I am. Despite the fact that I am completely bald. It all started when I was 14 years old. It was November of ninth grade and my mom was blow drying my hair for me when she found a small bald patch on the side of my head. It was probably no bigger than a dime and at first I wasn't too concerned. My mom booked a doctor's appointment for me and she did some web research. I remember her telling me she had read about alopecia and people losing all their hair. I dismissed it- there is no way I had that. I had thick, beautiful, blonde hair and I was perfectly healthy. We went to the doctor and he said it was probably alopecia areata, where people lose patches of hair. In most cases it will grow back on its own without treatment and he sent me home telling me not to touch the spot (so as to not disrupt hair growth) and to just monitor it. I was confident my hair would grow back and I still don't remember being concerned. Alopecia areata didn't sound that bad. In fact, over the next couple months, the spot grew, and was joined by a second spot. So we went back to the doctor and this time he referred us to a dermatologist. After seeing the dermatologist, she agreed that is was just alopecia areata but now was the time to start treatment. I began with a cream, and I had to apply it daily. More spots kept appearing, but I kept with my cream. I remember using it at summer camp, so it must have been July before I tried anything different. Since the cream clearly failed, and my head was become quite patchy and hard to hide, the dermatologist decided to try something stronger: cortisone injections. This involved getting needle injections around the perimeter of each spot, about 70-100 per visit. I went every two weeks. I am sure my mom's hand is still healing from the crushing I gave it. This went on for months, and while the injections did give me tiny spots of hair growth, the bald spots were growing faster than we could keep up. At some point in the fall of grade 10, I decided to stop treatment and accepted the diagnosis of Alopecia Universalis. It is the most severe form of alopecia and does not respond well to treatment. I began wearing a wig and by the end of the winter, I had lost the remainder of my hair and then my eyebrows, eyelashes, everything. Alopecia universalis affects a very small percentage of the population. I have a hard time finding exact statistics, but I have heard that 2% of the population gets alopecia areata (just spots of hair loss) and 2% of those people will end up with alopecia universalis. A lot of people with AU seem to experience years of remission and hair growth, but this has not been the case with me. AU is caused by your immune system going into overdrive and attacking your hair follicles. Otherwise, it has no effect and I am perfectly healthy. While scientists have recently found the genes responsible, they do not know what triggers it. No one in my family has it, and I had perfectly normal hair growth for 14 years. They also don't have a cure, as some people respond to treatment and some don't. Living with alopecia is not an experience I ever thought I would have. I wish I were brave enough to go wigless and accept my bald head for what it is, but beyond the beach and amusement parks (and at home), I prefer to wear my wig. I don't want to be known as "The Bald Girl", I just want to be Casey. And when the time is right, I tell a new person about alopecia. I do have a few tattoos on my head, which make me much more comfortable when I am bald in public. I get a quite a few compliments and comments from people on my tattoos, rather than being stared at for being bald. For the most part, people have been amazingly accepting. I have never been teased or been hurt (to my face at least!) by comments from people. I have gotten through with what confidence I have because of my amazing friends and family who have always accepted me, hair or no hair. I have also gotten better at doing my face and hair. 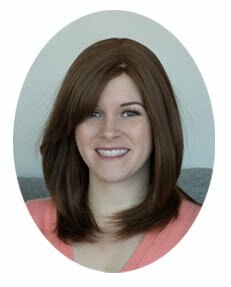 I buy my wigs from an amazing store in Toronto called Continental Hair, where they treat people with hair loss with so much respect and understanding. I buy stick on tattoo eyebrows from a store called Ibrowsers, which allows a much more natural look than pencils. I haven't worked up the courage to get real tattoos on my face! I also wear fake eyelashes everyday. I just consider these steps as natural as any other girl wearing makeup- it is all the enhance my natural looks. Anyway, the reason of this post isn't just to pour my heart out regarding alopecia. It is to announce that I recently saw a new specialist and I am beginning a new treatment called Anthralin, which is a cream that will cause an allergic reaction on my scalp, distracting my immune system and allowing hair growth. I thought I owed it to other people with alopecia to chronicle my experience on Anthralin. I will probably just come in now and then with an update. I want it known that I DO NOT want to get my hopes up. This only has a 25-30% success rate for people with AU and since I have been bald for 10 years, it might be lower. I just figured it is worth a shot. As Wayne Gretzky once said "you miss 100% of the shots you never take". I admire your courage and I'm very proud of you. May you be in the 25-30% success rate. Beautiful post. You are a strong, brave person - more so than most. Thanks for writing this, and I look forward to reading your updates in the future! I love this, and I love reading other alopecians stories, I had AA since i was 4 and we tried creams and Cortisone shots also, i've gone to holistic doctors as well and nothing really works. My daughter has AA, to the point of 90% hair gone within 4 months over this past summer. Thank you for sharing. Best of luck!